Over the past few weeks, a number of the country’s leading casual restaurants have found themselves in financial difficulties, with a number collapsing altogether. With news recently that nearly 35 of the top 100 British restaurant groups are operating at a loss, this post will look at some of the reasons why this may be and the potential effect of such a damaging phase for a sector that employs so many people in the U.K. However, on the back of that review, the question will be raised as to what legal options are available to these companies as they suffer financial difficulties, and also whether they may be effective in allowing the sector to survive the current crisis. The leading story in this particular field is that of the troubles being experienced by celebrity Chef Jamie Oliver. Oliver, and his Jamie’s Italian group have hit the headlines more than most in recent months, with stories revolving around the development that Oliver had to pump in £3 million of his own money into the struggling company and, as part of rescue negotiations with creditors had to close 12 of its 37 British branches in January. According to reports, based upon court documents, Jamie’s Italian had debts of over £70 million before the attempted restructuring took place, with HMRC being owed over £40 million and staff owed over £2 million. In addition, Oliver’s Barbecoa brand of steakhouses entered administration last month, with Oliver buying one of the chain’s businesses (the St. Paul’s outlet) right back through a process that we will discuss shortly. Yet, it is not just Oliver’s businesses feeling the squeeze at the minute (with Oliver blaming the effects of Brexit as just one reason for the downturn), with news that Strada, Byron Burgers, Prezzo, Chimichanga, and today Carluccio’s declaring that they are in financial difficulty. The reasons for this downturn are plenty, and many have been theorising as to the cause of this sector-wide depression, with suggestions ranging from Brexit to market dynamics where the largest brands are essentially pricing out the smaller competitors (even in the world of branded businesses). Also, another obvious reason is that oversaturation is now having the inevitable effect when faced with a more uncertain economic environment surrounding the sector; the margins of these firms are continually being squeezed, in what one commentator simply labels ‘a house of cards collapsing’. Yet, whilst these stories are making the headlines, the actual processes facing these companies has gone under the radar somewhat, and certainly deserve a mention. The life-cycle of a company is, since the mid-1800s in the U.K. at least, surrounded by various laws. Whether it is from the creation of a ‘company’, through the management of a company and to its death, the modern day company-related laws (The Companies Act 2006 and The Insolvency Act 1986 mostly) provide for a coverage of rules and regulations aimed to both enhance business and ensure that, if a company fails, associated parties are protected as much as they can be (as the theory goes). Rather than cover these gigantic pieces of legislation in any great detail, the post will now look at some of the main options available to these struggling firms and then examine what the effect of their usage may be. 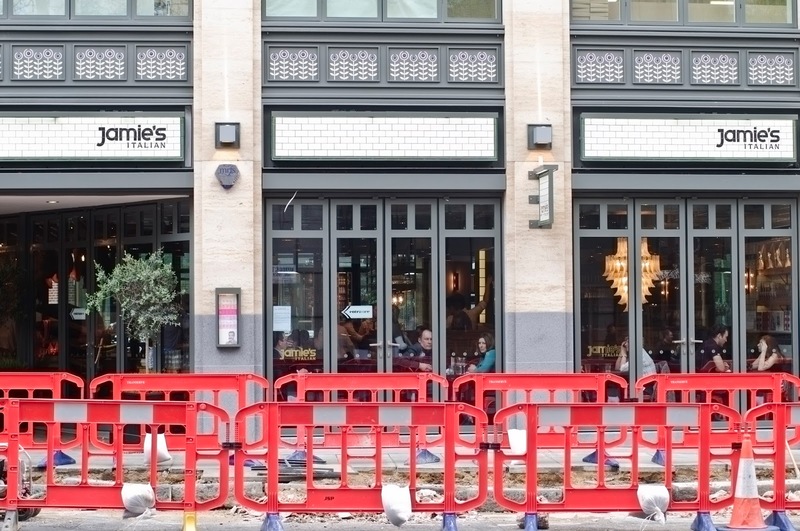 When Jamie’s Italian first ran into trouble, it was widely reported that the company was negotiating with its creditors with the result being the closure of some of its branches. Whilst the company can negotiate with its creditors anyway (within certain parameters), the likely situation is that the company enters into what is called a Company Voluntary Arrangement, or a CVA. The CVA, which represents a ‘legally binding agreement with [a] company’s creditors to allow a proportion of its debts to be paid back over time’, represents what may be deemed to be the ‘first-line’ in relation to the processes which allow the company to survive a crisis. There are many potential aspects to a CVA, with a restructuring of some sort being the core reason for the CVA, and also to allow the company some ‘breathing room’ as it seeks to navigate its way through a crisis, just like Jamie’s Italian is doing right now. Yet, this ‘first-line’ looks good in theory, but there are question marks as to its effectiveness; for example, is the process just delaying the inevitable, and if so does it end up costing creditors even more money and resources? Unfortunately, there is no definitive answer to that, although a colleague of this author Chris Umfreville (@ChrisUmfreville) along with a number of colleagues are currently undertaking major research into just how many companies actually survive this process – the results will be discussed in a later post once the research is published, and can go a long way to answering the questions relating the effectiveness of the process. However, if the company does not survive this ‘first-line’, or if the situation does not merit such a light-touch approach, then the company can go into administration, which details the process whereby a licensed administrator is appointed to take control of the company and rescue it ‘as a going concern’; the administrator then has a number of options at their disposal to achieve that particular end, ranging from restructuring, to selling components of the business and then, if all else fails, placing the company into liquidation so that the remaining assets are distributed according to the rules contained within The Insolvency Act. This process has many elements to it, but the sentiment is straightforward. However, what is not straightforward is a process that was alluded to earlier when we spoke of Jamie Oliver immediately buying back the St. Paul’s branch of Barbecoa once it had been placed into the processes detailed above; this particular process is called a ‘pre-pack administration’ and, as a concept, is both helpful and hugely contentious. Essentially, the term describes a process whereby the troubled company is immediately sold upon entering administration, with some noted advantages being that the business is not disrupted as a result of the presence of the administrator, and that the value of the assets are somewhat reserved, particularly in relation to if those assets were to be sold through the administration process. However, the contentious element is that, quite often, the purchasers of these pre-packs are the very owners who were in control of the company when it failed, as is the case with Barbecoa. The effect of this is either an actual, or at least perceived subversion of the ‘natural’ process of a company i.e. failures should not be rewarded etc. However, the directors of the failed company, even if they form a new company to re-purchase the assets afterwards, are still liable to be investigated for their role in the collapse of the business, and whilst it may be seen as ‘unethical’ to allow the sale to the same directors, the sale must be completed at a ‘fair market value’ to protect against a flagrant subversion of the process. Furthermore, the rights of employees in the failed business are carried over into the new company where the same roles are preserved, which aims to safeguard against increased job losses. It is likely that these processes will figure heavily in the futures of the brands examined earlier, and as we have seen each have a number of both positive and negative connotations attached to them. Ultimately, the demise of the dining sector has a number of causes; however, the vast oversaturation of the marketplace, when adjoined to economic uncertainty stemming from the obvious political decisions in a post-Crisis era, mean that there will have to be a substantial loss to the sector before it regains any ground. In an era of job losses, this should not make for comfortable reading for those who are employed in this sector. However, we also looked at some of the legal processes that are designed to allow the company every chance to survive such a downturn, and it is interesting to note that some companies are able to make use of them, whilst others have immediately gone into administration/liquidation, which perhaps hints at the precarious nature of the scenario these businesses find themselves in. What will be interesting to note, and we shall do so in a future post, is the results of the CVA research discussed above, because understanding the effectiveness of that particular ‘tool’ will have an effect on the sentiment that surrounds the ability to rescue a company at the ‘front-line’ i.e. a CVA; if it is found that it is not effective, even for the most part, then there is a potential for the demise (if even slight) of the CVA which will result in the need to readdress the other options available.